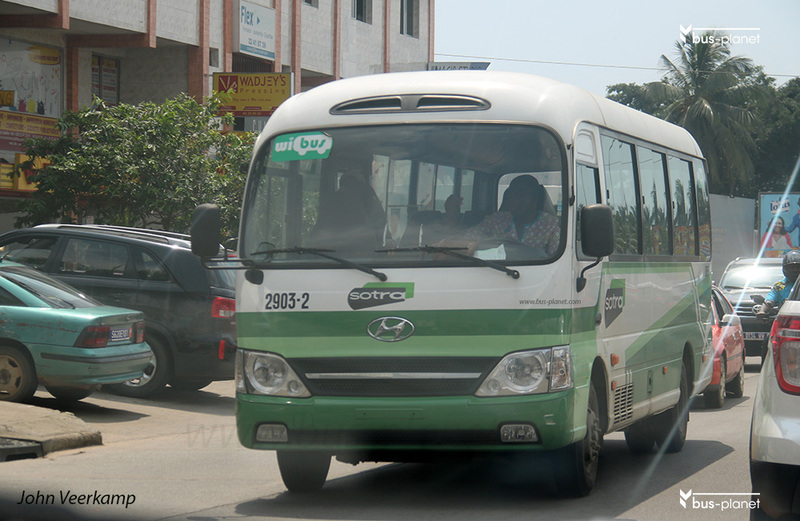 In April 2016 SOTRA inaugurated the Wibus service in Cocody municipality with 71 Hyundai County buses. They penetrate further into the neighborhoods, carry only seated passengers and have WiFi and chargers. Picture(s) taken by John Veerkamp. Cote d'Ivoire. Abidjan. dd: 2017-11-24.